I have been a little busy lately, which is why I haven’t posted in a few weeks. For the last 10 weeks or so, I have been seriously training. 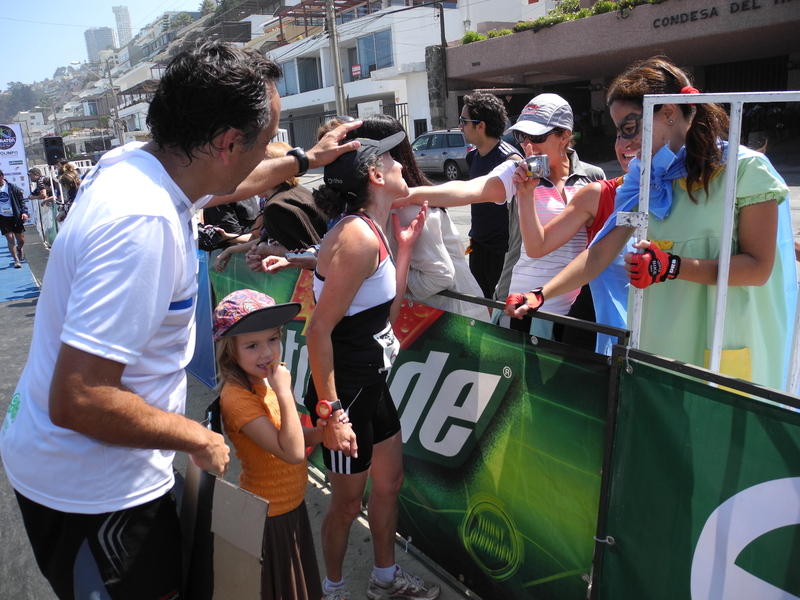 On Sunday, in Viña Del Mar, Chile, I completed my first marathon! The experience, both the training and the marathon itself were many things-mostly good, and some difficult. I know this blog is about food and cooking, but one of the things that I have learned is that in life and in our bodies, all things are connected. One cannot prepare the body for an intense physical undertaking such as this, without also considering what she eats, how she sleeps and generally everything having to do with movement. 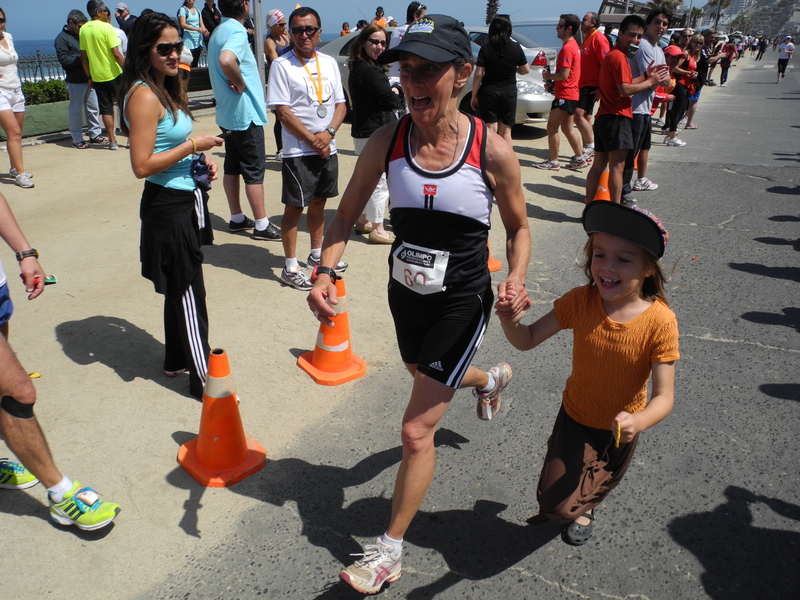 I have always loved to run, and have been doing so recreationally for over 30 years. I decided that if I wanted to experience a marathon, and to take the time to really do it right, this would be my year. And, so it was. 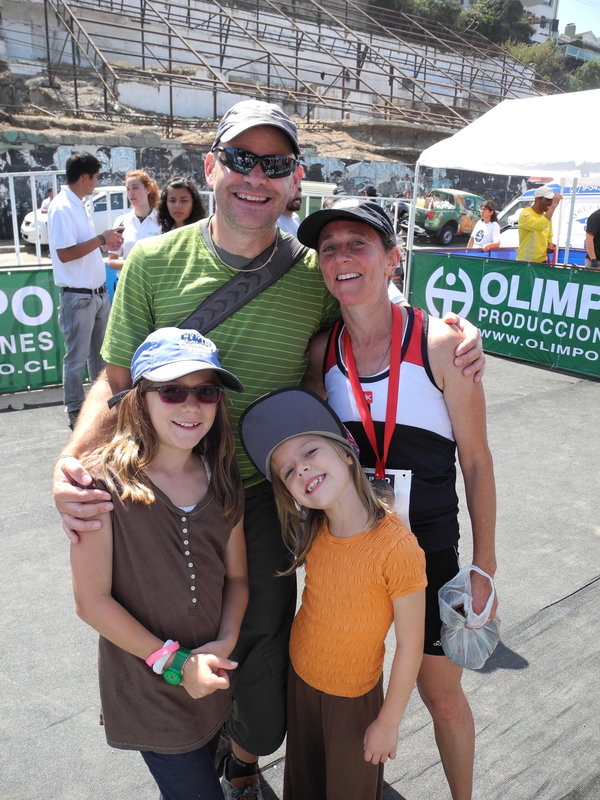 I began running with a group of semi competitive runners in Mendoza in August. They meet 3 days a week with a coach, and work out hard. At first, I couldn’t believe how hard they ran, and at the same time, how much fun they were having. These are men and women between their mid 20’s and mid 50’s who are passionate and committed. I was incredibly lucky to have joined them. I knew about this marathon but took about 6 weeks to commit and actually sign up. What really inspired me was the variety of body types, and personality types who had run, or were training for marathons. I realized that it is as much a mental process as a physical one, and I was finally ready to take it on. My training began in earnest right around the time it really started to heat up here in Mendoza. Of course, this group of working professionals meets during the siesta at 2 PM, when most people are having a leisurely lunch or a nap. This is the hottest 2 hours of the day, when the sun is directly above. On top of that, running here is not like running in Minneapolis. In Mendoza, you are either running up toward the mountains, or down from them. Needless to say, I got my workout in all possible ways. The best thing however, is this group of energetic, strong, and fun loving people made running even more joyful. While most of the time I was simply listening-trying to chat in Spanish while also trying to run uphill is a tough combination of skills-the conversation was generally upbeat and enthusiastic. 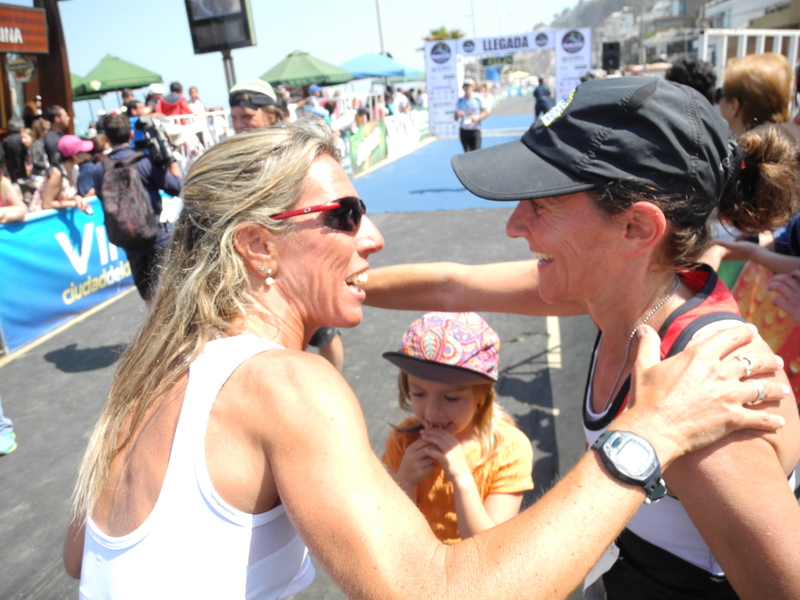 As I got closer to the race, I really began to focus more on all aspects of preparing my body. There is the running, but there is also the eating, the sleeping and the mind. Each of these, in my opinion, contributes equally to the overall success of the experience, and the recovery. As for sleeping, I really tried to commit to getting close to 8 hours of sleep a night. Those of you who know me know that I can function pretty well on much less, but with the number of miles I was logging, I really couldn’t do that to my body. It actually felt really good, I noticed the difference. My diet is generally pretty clean, so there weren’t huge changes to be made. I did increase the amount of complex carbohydrates in my daily routine-really just bigger portions of my home made granola, whole wheat bread or cooked grains like quinoa and brown rice, and slightly more protein, mostly in the form of cheese, fish and beans. In Argentina, they don’t really eat much of a breakfast-mostly sweet breads and coffee and then a really big lunch and a late dinner, but that doesn’t work for me. I prefer a good mixture of whole grains and fruits or vegetables fairly early in the day followed by a hearty lunch or early dinner and a snack later on. There are so many theories out there about small meals, big meals, protein, carbs it can make your head spin. My opinion is that in order to run a marathon, or complete any major physical feat successfully, we need to be connected to our bodies and plugged in to how we feel enough to know what is best for us. There is NO ONE RIGHT ANSWER about how to eat. There are definitely some basic rules-eat real food, eat whole, unprocessed foods, if possible, eat clean (pesticide/chemical- free) food, and I would add, engage with your food at the table without the distraction of a computer or television. Food should make you feel nourished, provide energy and sustain you. It should go through your body relatively smoothly, and come out relatively easily. I believe that when you are nourishing your body well, it is obvious, just as it is when you are not. Whether that translates to 5 small meals or 2 large ones, or something altogether different is a personal decision. If you are not in a position to figure that out, I am not sure that running a marathon is such a good idea. That said, I had a good time eating during the last month of training. It felt like replenishing and I could tell that my body really needed it-and I indulged in my share of good Argentinian ice cream and chocolate too. The last, and possibly most important thing about this process is the mind. Without a doubt there are the ups and downs of it. I had a few twisted ankles, some very sore muscles and a few days of poor digestion too. And I was very nervous. However, the pleasure of building up the strength and endurance, and realizing that I could succeed and even enjoy myself while running a marathon was an extraordinary feeling. The day before the race, a friend and amazing runner back in Minneapolis posted this advice on my facebook page “smile every mile and also laugh, you’ll be amazed at the instant energy”. This is not only advice for a marathon, I think it is pretty good advice for life too. 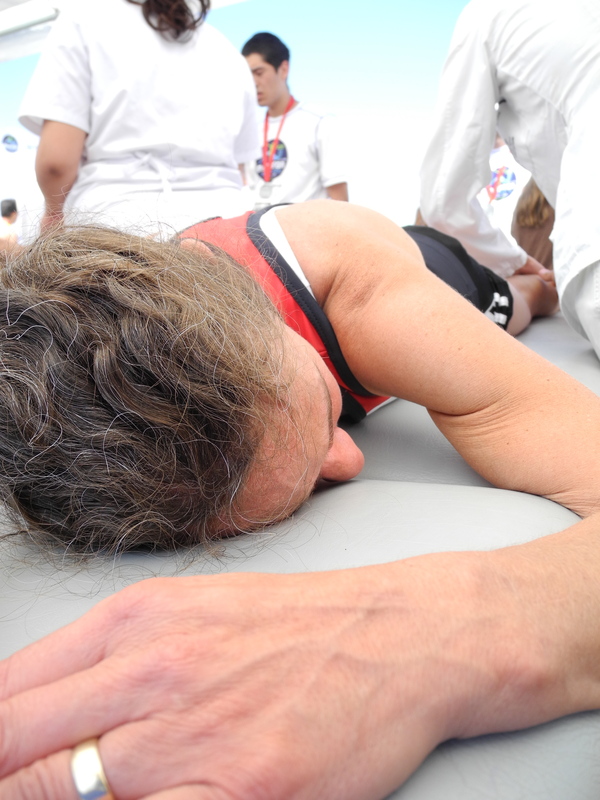 Aaaah yes, the post race massage! Yay! Sure was great having you guys this weekend Congrats again Jenny. Lojo-thanks again for hosting AND for supporting me on the run! What a great time. EXCELLENT JENNY! so inspiring ! I think I want to do this too… ? ps love and hugs to everyone – did the little package arrive yet? yes, wonderful package, thanks for sending it! Much more to say, rough week with post race flu/head cold-I was down for the count, but am finally back up. Can’t believe it was only a week ago. Let’s talk soon friend. Sounds like a like an awesome stretch experience — physically and culturally. That’s great. Missing you and your cross country skiing companionshp as the snow season has arrived.